The Patrick Rehab-Wellness Center is offering swim lessons this summer. We have 3 sessions available and each session runs Monday-Thursday and lasts 2 weeks. 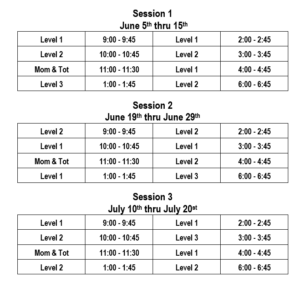 The cost per session is $40 for levels 1, 2, and 3 and $25 for Mom and Tot lessons. For more information, please call 931-433-0273.